Not sure what point this is trying to make. Oh, and fair trade coffee isn’t fair. 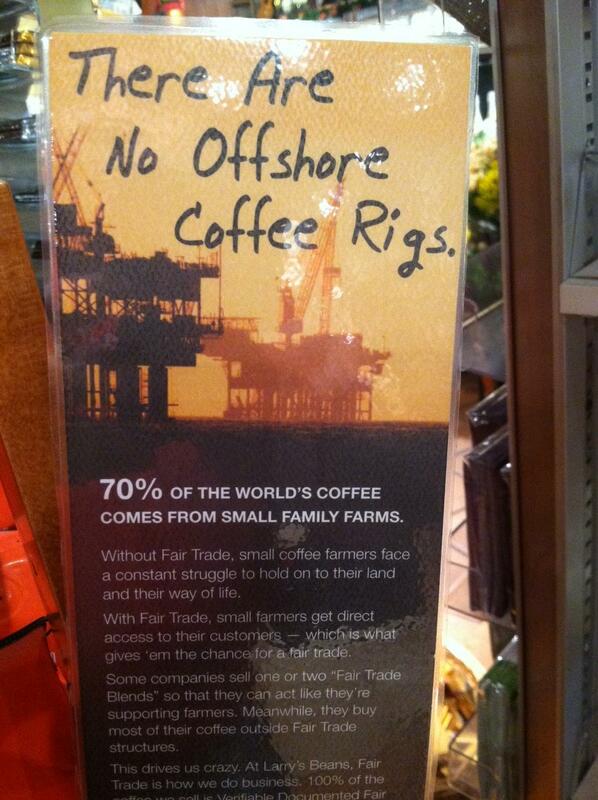 Image | This entry was posted in Energy, Environment and tagged Fair Trade Coffee. Bookmark the permalink. Where can a person get free range cigarettes to smoke while they enjoy their fair trade coffee?